Thank you for purchasing the print or kindle version of the #NoEstimates book. I hope you enjoy it, and are able to apply some of the ideas of the book to improve your project performance, and to reduce the schedule related problems and stress! 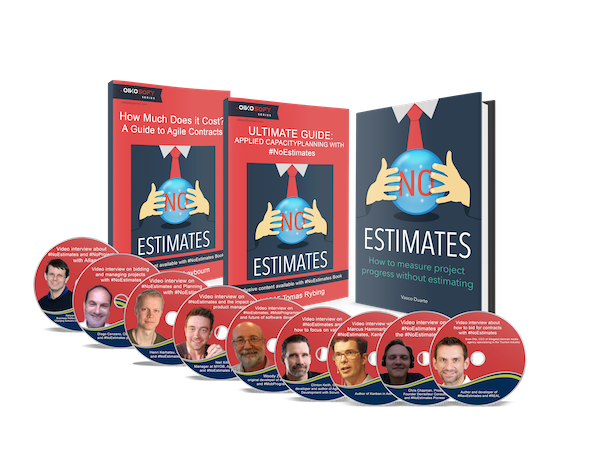 The #NoEstimates is also available for purchase in digital format in our sales page for the book. 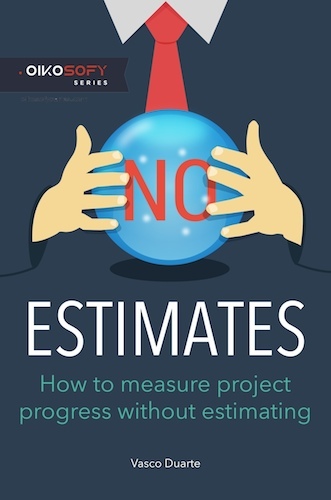 The book explains many of ideas behind #NoEstimates, but this is a movement that is much larger that one person can even comprehend. Because of that, and because I know you will want to know more I’ve spent many weeks preparing an extra set of material that you can use to explore the #NoEstimates ideas in much more depth than even one book allows for. But we also have 9 video interviews! Ready to purchase the book and the extra material? Here’s where you can buy the #NoEstimates Book. Not ready yet? No worries, enjoy the paper version of the book and get your gift by signing up on the right. No spam! Only the mini e-book on Capacity Planning with #NoEstimates – but you can also unsubscribe at any time.